India will be voting to choose its 15th prime minister in the Lok Sabha Elections this year. April-May 2019 will observe the integration of politics and financial markets so much so that the market will be clinging to every bit of news flow and reacting to it. The investors are keeping a hard eye on the upcoming government as stability and volatility of the market will be prejudiced based on which party takes over. It is not surprising to see the slight fear cropping up into the minds of the investors that the economic policies carried out by the ruling government till now may be modified or scrapped if the new government comes into the power. It leads to a sharp increase in market volatility and the investors may become uncertain during the election period. A very important point to note here is that it is not the elections that impact the stock market but the economic decisions taken by the ruling government. The elections may impact the market for the short-term, but in the long-term, it is the policy decisions framed by the government, which matters the most. historical data it is found that if UPA comes to power then the government sector sees a boost with bullish stock prices and if NDA comes into power then the private firms and corporates go bullish. This has been the trend so far. But there are always outliers. The Sensex will shoot up during the election as it is expected that PM Modi will come up with new investments and he has always been supportive for investors and risk takers. The platform will be favouring investors not only from India but also abroad. 1. Absolute majority for one of the national parties which means winning over 260 seats like the Bharatiya Janata Party (BJP) led National Democratic Alliance (NDA) did in 2014; around 220 seats for two major national parties (BJP or the Indian National Congress); a coalition with the lead party winning around 180 seats and a weak coalition with the lead party only in a supporting role – and invest accordingly. 2. 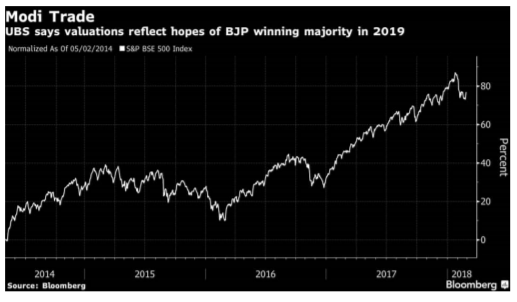 In a best-case scenario to which Morgan Stanley attaches 30 per cent probability, pegs the S&P BSE Sensex at 41,500 levels in the next 12 months. Their base-case (50 per cent probability) and bear-case (20 per cent probability) target for the index stands at 35,700 and 25,000 respectively. 3. The more conservative approach, according to the research house, is to prepare the portfolio for various scenarios. Though such an approach does not guarantee outperformance for any particular outcome, but is likely to protect portfolios from extreme performance. 4. “The direct way to handle the problem is to take a view on the likely election outcome and the ensuing market reaction and tailor the portfolio to match the view: Hence, buy beta and leverage if one believes in a better-than-expected election result and vice versa,” Morgan Stanley says. The beginning of the year 2019 would be news driven for the markets. Any positive news in the global economy or the individual sector or stock can turn its market green and vice versa. So shortterm investors need to be on toes during this period. In an upcoming election year, short-term investors have to keep a close watch on the market news, sector news and upcoming events in the market. On the other hand, the long-term investor needs to analyse the impacts of all the external and internal factors like news, fundamentals etc. 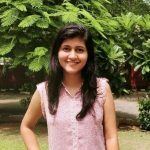 On the sectoral level, In 2019 stock markets are expected to see a boom in the IT stocks due to the implementation of Artificial Intelligence (AI) by Indian IT conglomerates. Moreover, stocks from domestic paper, cable and textile sectors are expected to benefit. Governments optimistic plans for infrastructure and railways would be the key aspects to watch. Many investors are waiting for the election results to get a proper insight into the drivers of the favourable sectors in 2019. Markets always prefer a stable government under a strong leader as compared to a weak coalition incapable of implementing big economic reforms. Now that most people are uncertain about how the situation will pan out in 2019 and how the markets have been behaving lately, it is advisable that investors take a cautious stance before investing their money in the market. Whenever there has been volatility in the market, people have opted for consumer stocks which have turned out to be a safe haven. Also, given the correction we have seen lately in the markets whereby most shares have been hit badly, it would be nice for us as investors to have a look at this sector. The rupee has seen a drastic fall in recent months. The market sentiment is not very buoyant, therefore risk aversion is slowly creeping in. On the basic level for everyone, the anticipated reforms and plans of the government drives the market sentiments. This is the only relation between the stock market and the general elections.